The idea of a mandala, circle, or life wheel, is a representation of the universe through the use of sacred geometry. Throughout history and around the globe these images have been used as an act of worship or mediation. The theme of the chakras in this project came from a personal deepening interest in energy healing and vibrations within the body. 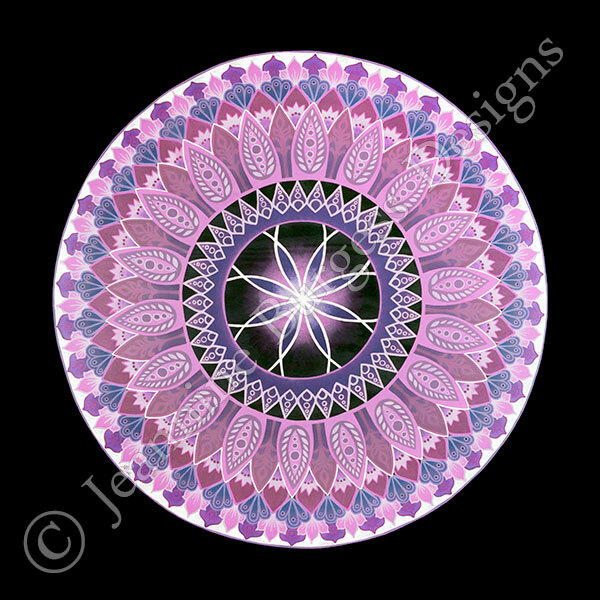 This series uses traditional colors and number of petals associated with each of these energy centers. The painting uses techniques developed in my previous works of furniture and decorative frames. The mandalas, though used as a meditation for its creator, are meant to conjure emotions and energetic responses from the viewer. Each piece may resonate with a certain thought, emotion or physical sensation.